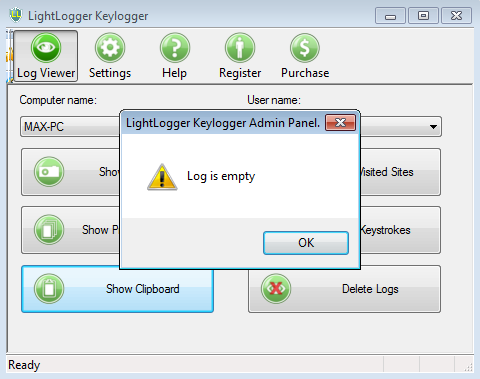 LightLogger is another keylogger from the huge family of programs for hidden tracking. It has a fairly standard set of functions – it keeps track of all visited websites, takes screenshots with a specified frequency, intercepts keyboard input in applications, browsers and emails, remembers all running programs, copies the contents of the clipboard. Access to the logs can be obtained with a certain combination of key and password. Components of LightLogger can be detected in multiple COVERT Pro monitors. 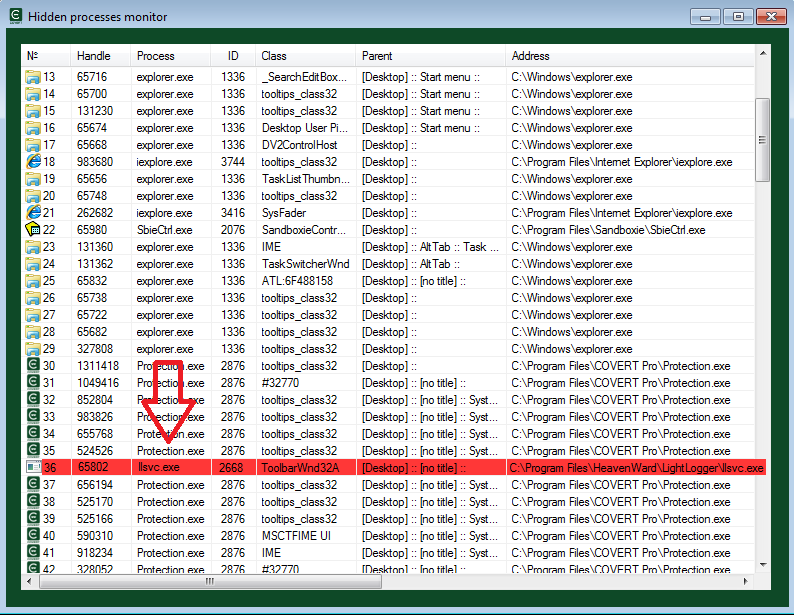 On the screenshot we can see the red highlighted process llsvc.exe in the monitor of hidden processes. It can be seen in the Clipboard monitor also. (The monitor can be opened through the context menu of the main window). You can find llsvchk.dll library in the Monitor DLL. 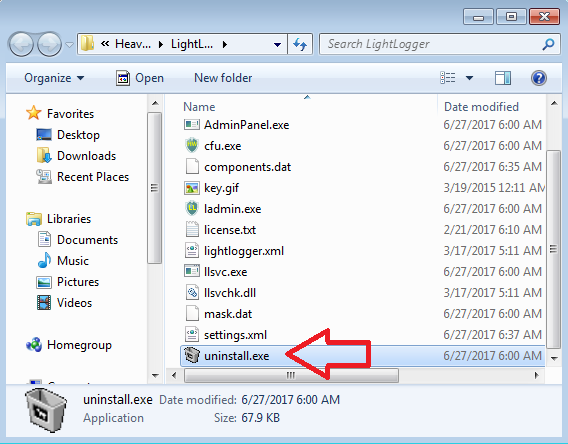 You can uninstall this keylogger using uninstall.exe, which is located in LightLogger folder. It can be opened from any monitor by right-clicking the context menu and selecting the “Open application folder” item. If you work inside the secure platform of COVERT Pro, then the keylogger will not be able to collect information about your actions and its logs will be empty. 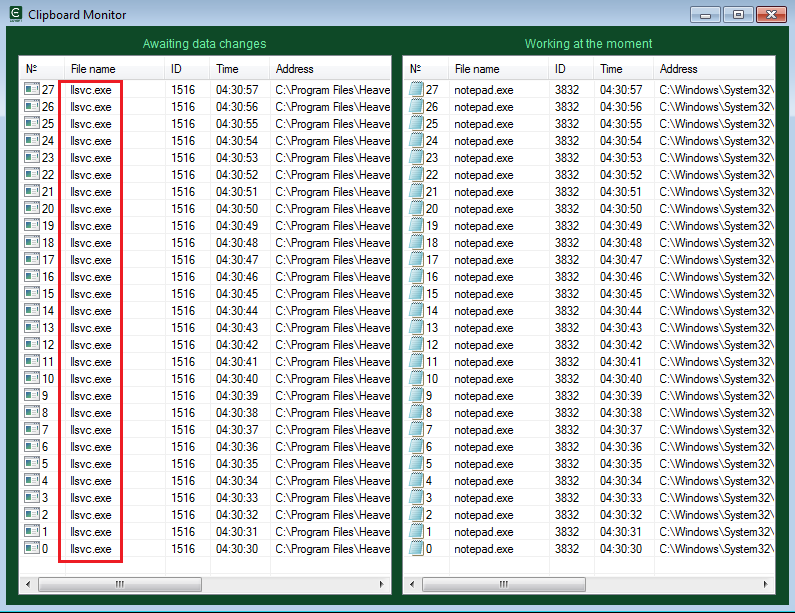 We have checked the llsvchk.dll file in online service virscan.org. Only one antivirus considered it as a threat. This means that if this keylogger has been installed on your computer, the probability of its detection by your antivirus program is close to zero. We rate this spyware program as RLM: 5 / 1 / 1.